I thought it was time for a new tagline. But I couldn't think of a good one. Maybe later I will. One morning, Gregor Samsa awoke from uneasy dreams to find he had transformed into an enormous cockroach. And the rest is Hollywood history! Loosely based on the first sentence of “The Metamorphosis” by Franz Kafka, this play examines the career, personal life, and inner struggles of Gregor Samsa from his early days as the star of the hit sit-com “Greg & Mort” through his many marriages, scandals, and comeback attempts. This play features the acting of Brenan Grant, Ann Pielli, Sarah Simmons, Tim Takechi, Marlon Taylor, David van Wert, and Brad Walker. It’s playing at The Ballard Underground, 2220 NW Market, on January 21, 22, 28, and 29 at 10:30pm. Tickets are only 5 measly dollars and there is an inexpensive bar. Come for the good beer prices, stay for the great show! I was one of The Flying Dutchmen, a famed family of trapeze artists, until a tragic accident left me an orphan and earned me the colorful nickname "Butterfingers." Once upon a time, I wrote a book. There are still some ways to get a copy. 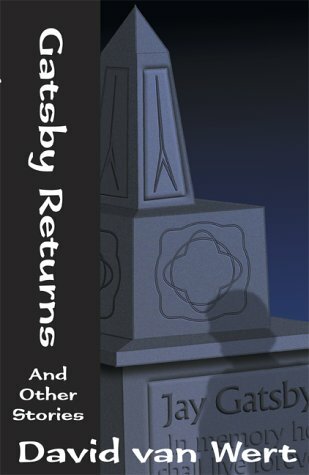 "Gatsby Returns" eBook for Kindle or Kindle for Mac. "Plan, schman, let's just ride down there and see what happens."